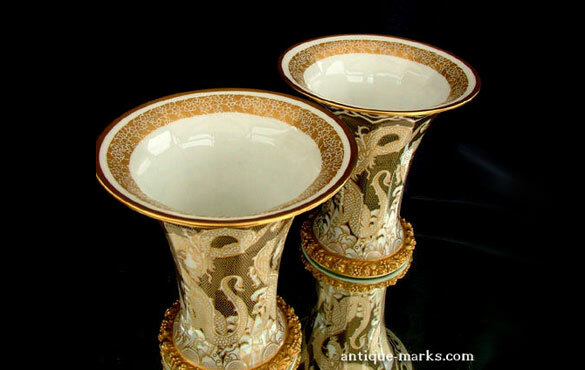 A stunning, matched pair of Rosenthal art deco vases with wide rims and tapering twelve sided fluted bodies. 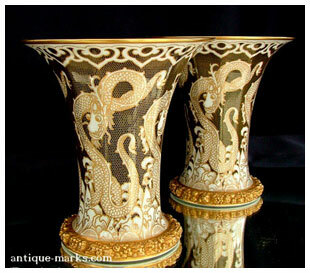 Both superbly decorated in the Art Deco style with a continuous scene depicting four dragons rising from a stormy sea. 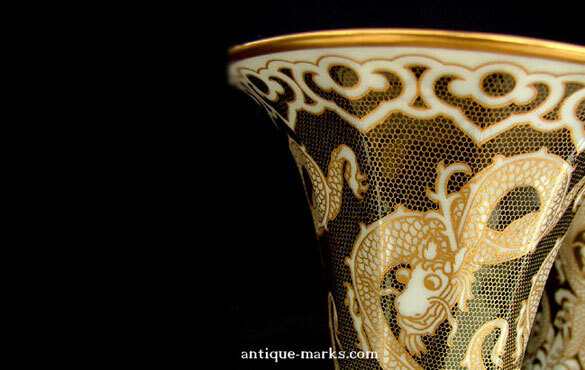 The underside of the rim supporting stylised clouds above the dragons, and the base rim with gilded encrustations. 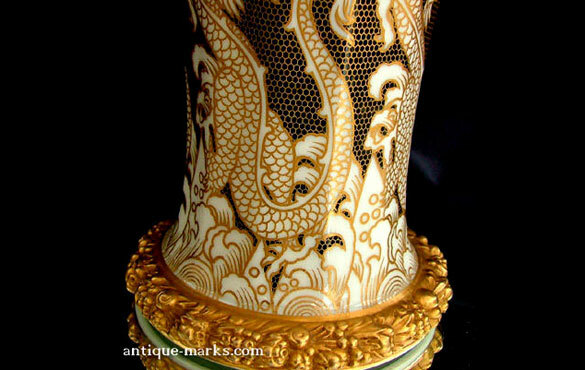 The Dragons surrounded by honeycomb pattern gilding and the large flared rim with gilded edge and gilded ornately patterned border within. Absolutely nothing detracts from the beauty of this rare and stunning pair of Rosenthal Art Deco Vases. 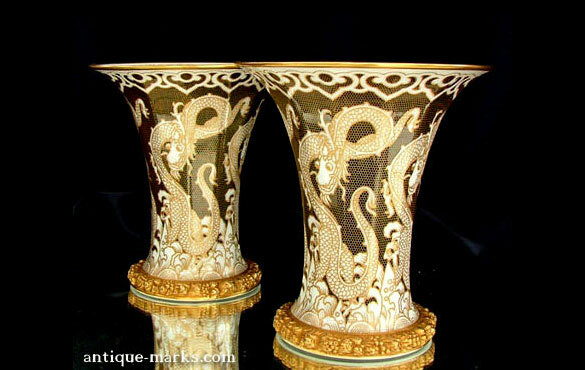 The superb dragon decoration and the high quality gilding is almost pristine and the pair present as good as new. 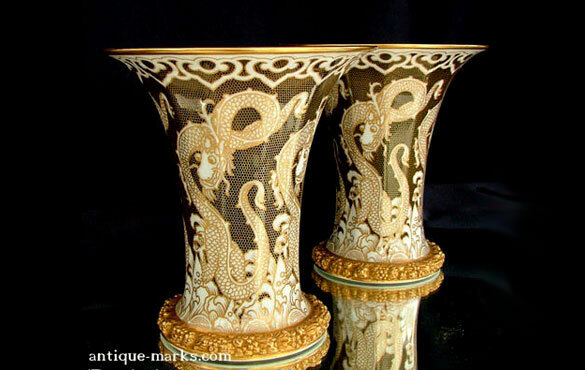 Boths vases stand: 6.25″ tall on 3.75″ diameter bases and 5.75″ diameter rims. 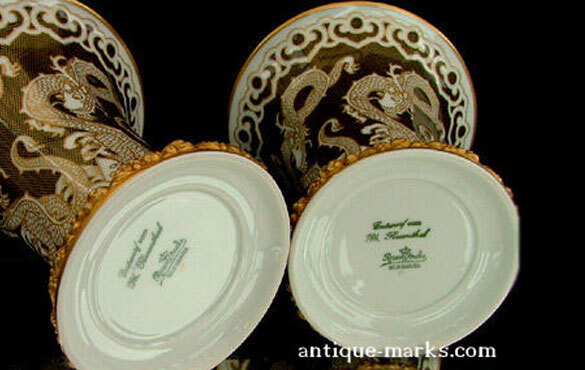 Rosenthal porcelain has a long history of producing high quality decorative porcelain pieces. In 1884, Phillip Rosenthal began selling porcelain wares painted by his wife, Maria. He sold these white porcelain pieces from door to door and purchased the blanks from Hutschenreuther. In 1891, Rosenthal established a factory in Asch, Bohemia and began production of his own white porcelain for use in his workshop. From 1897 to 1936, he acquired various factories in Kronach, Marktredwitz, Selb, Waldenburg, Sophienthal, and Waldershof. The popularity of the Maria White and Moss Rose patterns helped the business grow rapidly. By the start of World War 2, Phillip Rosenthal owned and operated 10 companies and employed over 5,000 people. 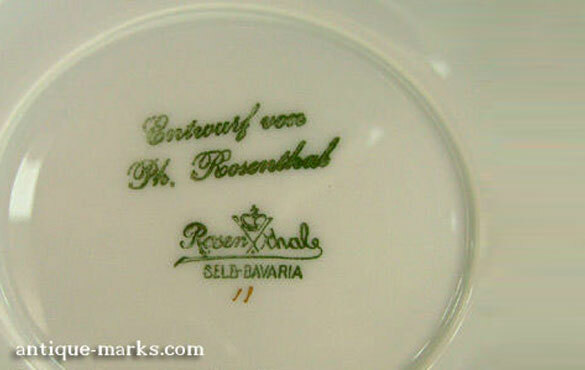 When the war ended, Rosenthal’s son, also Phillip, returned to Germany to recover and modernise the Rosenthal porcelain factories and re-establish lost markets. The younger Phillip became president of Rosenthal porcelain in 1958 and quickly rebuilt the business by changing the designs and recruiting talented ceramic artists like Hans Theo Baumann, Raymond Peynet, Tapio Wirkkala and Raymond Loewy. Today Rosenthal Porcelain still produces top quality porcelain with a contemporary modern feel such as their studio line and the very successful Versace line.